Starting and growing a business is one of the most exciting and daunting undertakings imaginable. These days, it seems like everybody and their brothers want to pursue careers in entrepreneurship, but only a fraction of these would-be business owners actually succeed. In fact, the Small Business Administration has found that 543,000 small businesses are started in the United States every month, but less than a half of them will survive for at least five years. These statistics may seem discouraging, but remember that your chances of succeeding are much better if you follow proven strategies and come at things with the right attitude. As the owner of Growth Everywhere, I’m fortunate to have had the opportunity to interview a number of top entrepreneurs that have defied the odds and developed extremely successful enterprises. Some of their businesses generate tens of millions of dollars in revenue – so why wouldn’t you listen closely to what they have to say? What Can You Learn from Leading Entrepreneurs? Many new entrepreneurs follow the same business model as others in their industry. Unfortunately, this is almost always a path to disaster. If the average business is doomed to failure, why would you want to follow in these potentially devastating footsteps? Rather than replicating the processes of the average business owner, it’s best to learn from the few great minds in your industry that have become extraordinarily successful. Here are some of the takeaways I’ve learned from doing dozens of interviews with these legendary business leaders. 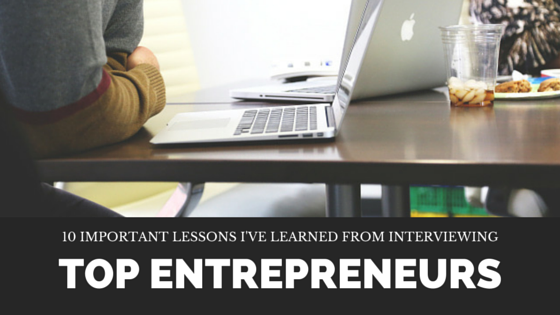 The lessons I’ve learned from our conversations should be invaluable for you in your own entrepreneurial endeavors. Knowledge is the most valuable asset that you have. Unfortunately, there’s so much misinformation in the world that it’s difficult to know what actually works. The strategies that are taught at the MBA program at your local university aren’t going to teach you how to reach your entrepreneurial goals. Instead, the most successful experts take the time to learn the necessary skills on their own. Emerson Spartz is possibly the most remarkable autodidact that I’ve had the privilege of interviewing. Spartz dropped out of middle school before creating a 50 million page website at the age of 12. Spartz’s parents were very supportive of his goals, but had one expectation. He needed to read four short biographies of successful people every day, which helped him generate new ideas to boost his own success (side note – what great parents!). Murray Hidary is another entrepreneur that elaborated on the importance of self-education. He started one of the first dotcom IPOs at a time when most people knew very little about the Internet. As a result, he needed to create a free space to learn and let ideas flow before he could lay the foundation for his business. And while these are certainly valid concerns, some of my interviewees emphasized the more beneficial aspects of maintaining transparency. 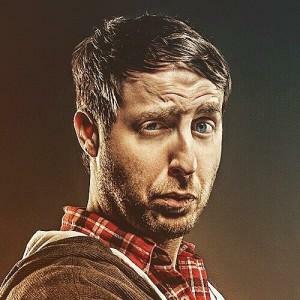 Josh Pigford, founder of Baremetrics, was always committed to running a totally transparent business. And although he states that there are both benefits and drawbacks associated with full transparency, he feels that he made the right decision. Divulging every detail about Baremetrics has created a lot of copycat competitors and increased customer scrutiny, but also paved the way for the company to form a merger with social media leader Buffer. It has also helped to make customers more trustworthy after they’ve overcome their initial skepticism. Being transparent can be difficult at times, because it forces you to reveal the facets of your business model and personality that you’re least proud of. While expressing humility can be difficult, it’s also a great way to earn customer trust. One of the best ways to come across as more transparent is to discuss your failures openly. Nick Robinson talked at length about some of the mistakes he made in the early stages of his business, saying that the company neared bankruptcy shortly after it was founded, after the team invested a massive amount of money purchasing a piece of equipment that proved to be nearly useless. It’s a big mistake to own up to, but the transparency Robinson shows makes it more likely that his readers will trust his statements and opinions in the future. The authoritarian style of leadership isn’t nearly as effective as it used to be. The most successful entrepreneurs recognize that employees have valuable insights and need to be given the opportunity to share them with the rest of the team. 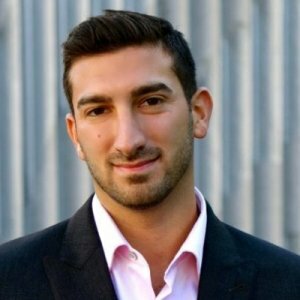 Max Altschuler, founder of Sales Hacker, made it a priority to focus on open discussion from the very beginning to earn credibility from customers. On a related note, his commitment to listening to subordinates led to the creation of his invite-only model for meetings, which helped him limit attendance to only the people that could offer the right perspective. Despite the limited attendance, Altschuler made sure that authenticity was at the core of every meeting by giving every speaker the opportunity to voice any concerns that they had – no matter how seemingly-inflammatory they may be. Ryan Carson, is the founder of Treehouse, a web design educational agency that generates over $8 million in revenue a year, also recognizes the importance of employee feedback. In fact, the company has no managers, which allows Carson and his co-founder to work directly with their team members. The company culture is one of the most important elements of its ultimate success or failure. In order to build a thriving culture, executives must communicate their vision and foster an environment that their employees will feel inclined to participate in. However, leaders can’t create a sound organizational culture without first making sure that it will support the company’s overall brand. Therefore, business leaders must build their brand outside of the organization before they start developing it internally. Many of the business leaders I’ve spoken with have taken the time to brand themselves as thought leaders at the early stages of their business’s growth. They’ve done so using a number of different approaches to foster their reputation, including guest blogging, video marketing and conducting webinars. 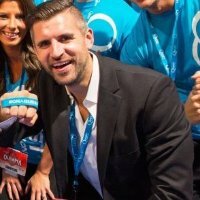 The founders of Contently, for example, focused heavily on content marketing to brand themselves as experts in the industry. In our interview, founder Shane Snow told me that the time the company invested in content marketing early on played a key role in their ability to attract to attract premium clients down the road. 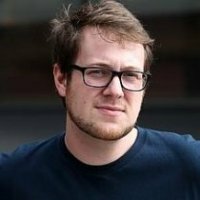 Jackson Palmer, the founder of Dogecoin, also decided to invest heavily in his company’s brand in order to make it successful. The company faced some monumental branding challenges early on, as it was seen as an Internet joke that nobody believed would ever be a serious contender to Bitcoin and other cryptocurrencies. Palmer had to overcome the lack of faith in the currency by highlighting its positive aspects as often as possible. He’s a regular keynote speaker and has participated in a variety of different events to create positive publicity for Dogecoin. And while it still faces some challenges, Dogecoin is slowly – but surely – becoming a legitimate alternative for cryptocurrency users. There’s a reason that every entrepreneur I interviewed has made it a point to invest in growing their brand. A brand will make or break a company. Take the time to invest in yours if you hope to earn a reputation that will draw the customers and investors needed to make it successful. Your employees are the adhesive that binds your company together. As a result, earning their trust and loyalty is essential if you want to create a sustainable business model. Truly, a paycheck isn’t enough to keep your top rockstars – you must constantly reward their trust by being honest and doing right by them. Russell Glass spoke about his company’s employee loyalty strategy at Bizo in our interview, stating that he makes developing trust a priority with every employee from day one. He has always made every effort to look out for his employees throughout the entire relationship, which is one of the chief reasons his firm has been so successful. Selfishness is a taboo that everybody in our culture holds onto to some degree – even though they rarely want to admit it. Most people feel that selfishness is something that needs to be held in shame, but some business leaders argue that it’s actually a trait that must be embraced to succeed. That said, selfishness can be a double-edged sword, so business leaders must learn to wield it carefully. Savvy business leaders, however, recognize that the line between altruism and selfishness is often more nuanced than most people think. Of all the entrepreneurs that I have interviewed, Nick Robinson was probably the most blatant about the importance of selfishness. While the term has negative connotations, there are some clear reasons that it can be beneficial for all stakeholders. Entrepreneurs that are driven by a self-serving motive will create more successful businesses, which means that they will provide more security and value to their employees and customers over the long haul. Robinson also stated that he seeks employees that are also motivated primarily by their own success. People that are driven by their own desire to succeed work harder and invest more in their own education, which creates greater value for the rest of the company. However, it’s important not to mistake selfishness with Machiavellianism. While placing your own goals first is critical to succeed, you must not do so at the expense of your customers or employees. Most other successful business leaders are presumably motivated by primarily by their own success. However, they recognize that the best way to achieve them is by taking approaches that are mutually beneficial for others. Jason Lemkin runs the blog SaaStr, which has grown to 500,000 monthly visitors. One of the reasons that his blog has been so successful is his sincere desire to help his visitors become more knowledgeable than he is. 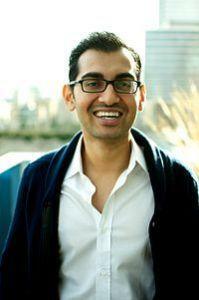 Neil Patel also believes in benefiting his audience by educating them. He has been known to spend as much as $30,000 on a single piece of content and give it away for free – just to help his visitors. Patel’s approach is particularly thought-provoking. I asked him why he would invest so much money on a piece of content, only to give it away. His answer shows that his motive wasn’t driven purely by a philanthropic desire to help his followers. He said that the quickest way to learn which marketing strategies work is through spending money. Giving extremely valuable content away is also a great branding strategy. Martha Graham once said that “The only sin is mediocrity” – and that’s something that every entrepreneur should take to heart. The sad reality is that you’ll never become a thought leader unless you’re willing to think big. Every successful entrepreneur that I interviewed reached their goals by daring to have big dreams and taking the risks needed to fulfill them. 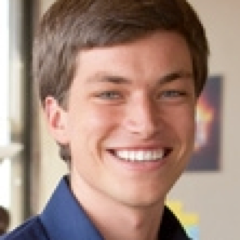 Emerson Spartz, mentioned earlier in this article, attributes his success to his ability to think big, which he achieved through his social media campaigns. Spartz had a knack for viral marketing strategies and realized that he could use them to accomplish just about anything. Spartz attributes a lot of his determination to the biographies that he read, which showed him that potential for success is limitless with the right strategy in place. His ambitious mindset is clearly one of the primary reasons that he’s become so highly successful. Contently founder Shane Snow is also living proof that ambition is a critical component of standing out in a competitive industry. The content marketing industry has become extremely crowded, which has led many companies to offer low prices to attract clients. This strategy has forced companies to hire lower-tier writers that invariably deliver minimal value to clients. Snow insisted on taking a different approach. Rather than joining the race to the bottom with mediocre content agencies, he strived to position Contently as the marketing agency of choice to large enterprises. Contently was a startup with a small marketing budget, but that didn’t deter Snow or his two cofounders from branding themselves as a leader in the industry. After investing some time in content marketing early on, Contently was eventually able to develop the brand exposure needed to attract major brands such as American Express, Coca Cola and Phillips. Snow and the other Contently founders would never have achieved this if they’d opted to pursue the same track as other content marketing firms or if they’d been “more realistic” about the brands they could reasonably attract. One of the biggest challenges every business faces is the way it responds to change. Entrepreneurs must survive changing demographics, evolving technology and increasingly competitive landscapes – which is impossible if they aren’t capable of quickly adapting and optimizing their strategy. But in order to execute new ideas quickly, business leaders must have access to reliable and timely data. 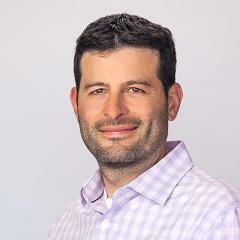 Jason Pigford recognized that having access to a state-of-the-art analytics platform would be invaluable for both his agency, as well as the clients relying on his survey products. He initially used the Stripe platform for this process, but eventually realized that he needed to make some modifications to procure data more quickly. As a result, Pigford realized that his Baremetrics analytics platform had more potential than he originally anticipated. Rather than use it for his personal SaaS products, he sold it as a standalone service. In a surprising turn of events, he didn’t even take any time to warm customers up before bringing it to market – Pigford woke up one morning and decided to sell his product, announcing his decision on Twitter later that day. It’s understandable that many entrepreneurs fall into this rut, as well have to make loads of different everyday, be accountable to many different people and weigh multiple variables in considering the growth and futures of our companies. But savvy entrepreneurs are those who are able to discern their top concerns from the more inconsequential ones. This allows them to work efficiently on the tasks that matter most, allowing them to make sure all of their priorities are met. The business leaders that I’ve had the chance to speak with through the Growth Everywhere podcast all understand the importance of managing their time to reach their top milestones. Through our conversations, they’ve shared some great insights into the different ways that entrepreneurs can boost their efficiency to meet their goals more easily. Take Ryan Carson, for example, Ryan is a master of operational efficiency – in fact, he and his employees only work four days a week, despite the fact that there are no managers on the team, as mentioned earlier. According to Ryan, leveraging technology and delegation were critical to optimizing the team’s resources. All of the company’s communication is handled through a platform called Convoy, which functions in a similar way as Reddit. Ryan and his partner recognize the expertise of their employees and empower them to make decisions. They rarely offer any input when the company is hiring new employees, because they recognize that the other employees have a better understanding of the skill sets that are needed. All Treehouse employees are encouraged to think like owners, rather than subordinates. They’re all emailed a list of projects to work on every day and asked to provide their input. As a result, Ryan says that they’re able to solve problems much more quickly with roughly 60 people combining their expertise. You can drastically reduce the amount of time spent on decision-making by leveraging technology and employees. You just need to experiment to find the system that works for you. Unfortunately, nothing that’s worth having in the business world comes easily. Most entrepreneurs are going to encounter one problem or another when they first launch new campaigns. The foundation of their strategy may be solid, but they may not experience the results they were hoping for initially – especially if they failed to do the necessary testing. Even the best strategy will require a lot of testing before you notice any results. Steve Chou discovered the importance of optimization after launching his website MyWifeQuitHerJob.com. Email marketing was an important element of Chou’s monetization strategy, so he knew that he needed to grow his subscriber base. Chou initially had a subscriber box at the bottom of his posts, but he found that subscription rates were much lower than he hoped – leading him to believe that people thought it was a banner ad and were tuning it out. Chou suspected that he needed to embed his subscriber boxes more seamlessly into his content in order to lift subscriptions. His theory proved to be correct when, after performing the necessary tests, his subscriptions increased 100%. 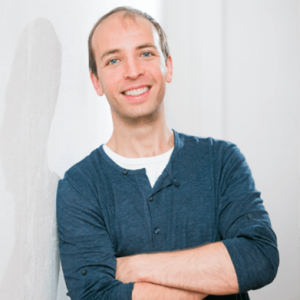 He also found that his email subscriptions doubled by switching from a double opt-in to a single opt-in – sign-ups he never would have captured if he hadn’t bothered to do his testing. 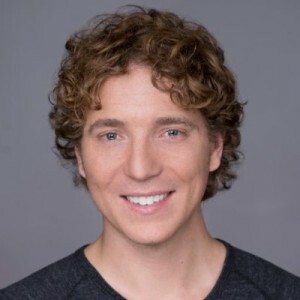 Brian Dean is another entrepreneur who discovered the importance of testing while building his business, Backlinko. Brian had to test many different traffic sources and promotion strategies before he found a system that worked. Since he spends roughly four times as much time promoting his content as he does creating it, Brian realized that he needed to create the most efficient content marketing system possible. He finally discovered that a tool called BuzzSumo could significantly improve the ROI on the time that he invested when used to help Brian create what he calls “skyscraper” content. Testing and improving needs to be an ongoing process. It’s easy to become complacent if your business is profitable, but you must constantly identify flaws in your business model to maximize your success. Otherwise, you risk falling victim to your competitors or falling behind the times as new technology eclipses your business. Growing a business is a rewarding endeavor, but it’s also extremely challenging. Fortunately, the process is much easier if you take the time to learn from the experiences of top entrepreneurs who have already walked the walk and talked the talk. I’m incredibly grateful that I’ve had the privilege of interviewing so many great business leaders and hope that you’re able to take as much from their words of wisdom as I have. Agree or disagree with the advice these experts have shared? Voice your opinion by leaving a message in the comment section below!